Paul Gambaccini was arrested in the dead of night in October 2013. Possessions confiscated, smeared in the press and rendered unemployable, Gambaccini was forced to pay tens of thousands of pounds in legal fees without an income. For a year he was repeatedly bailed and rebailed, often learning of new developments in his case from the media furore that surrounded him. Finally, inevitably, he was exonerated and added to the ever-growing list of celebrities falsely accused of historical sexual abuse. 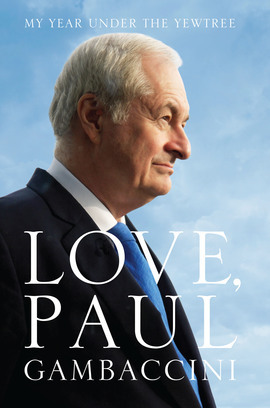 Love, Paul Gambaccini is the full, unflinching story of the witch-hunt Gambaccini endured during those twelve horrific months as part of Operation Yewtree. Drawing strength from family and friends, he vowed to keep a journal during his ordeal, writing every day until his case was dismissed. The result is not only a searing account of how it felt to have the full weight of the state brought to bear on him; it is also an urgent, rallying call to arms to all those who care about the quest for justice.